Guy Pratt has been a crucial member of the rhythm section of megastars such as Pink Floyd, David Gilmour, Robert Palmer, Roxy Music, Bryan Ferry, Jimmy Page, David Coverdale, Womack & Womack, and The Smiths. And when he’s not been parading his talents live on the stages of every stadium, concert hall and festival around the world, he has been a favourite studio bassist and accompanying singer for the biggest recording artists including Switzerland’s Florian Ast, Madonna, Michael Jackson, Iggy Pop,The Pretenders, Echo and The Bunnymen and McFly. His one man show is all about life at the pointy end of the music business; Guy regales audiences with stories from behind the scenes. His self-deprecating wit is irresistible and his rip-roaring anecdotes are brilliant and outrageous. This is an evening which is both funny and frank with enough insider’s references to satisfy even aficionados – and he’ll be bringing his beloved vintage Fender bass to demonstrate his craft. Tickets are now on sale now for the event, Which is priced at the very reasonable rate of £8.50 plus £1.75 booking fee. You can purchase your tickets online for this performance by clicking here. 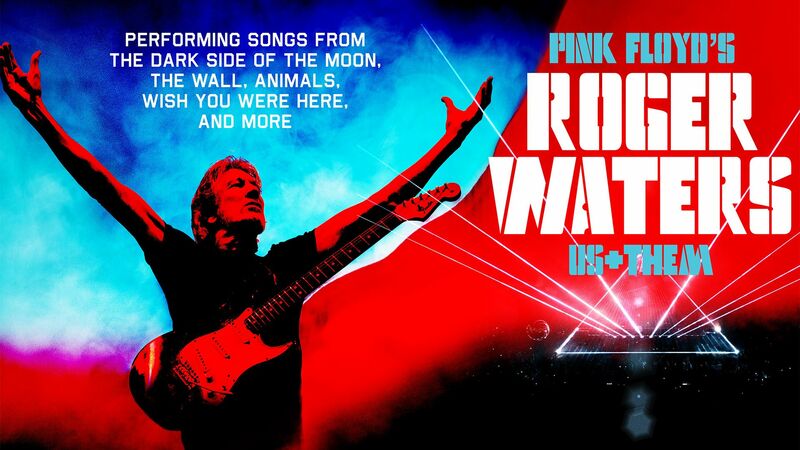 Due to an overwhelming demand, five extra dates have been added as part of Roger Waters Us + Them 2018 Tour. In this podcast he tells us a lot about his old band, the tragedy about ex-front man Syd Barrett, the legendary album Wish You Were Here and his current Us & Them Tour. In the podcast he lets slip that the 4 dates in Amsterdam at the end of June as part of his current Us & Them Word Tour are going to be filmed for a future release, Aswell as annoucing a re-issue / 5.1 mix of the 1977 Pink Floyd album Animals which features new artwork by Hipgnosis co founder Aubrew Powell. Tickets are now sold out !! The five-piece will solely perform Pink Floyd’s early work including songs from ‘The Piper At The Gates of Dawn‘ and ‘A Saucerful Of Secrets’ at four ultra-intimate shows in London next month. Nick Mason’s Saucerful Of Secrets is the brainchild of former Blockheads guitarist Lee Harris who back in 2016 suggested putting a group together around Nick Mason and featuring esteemed Pink Floyd/ David Gilmour session bassist Guy Pratt. To distance themselves from Roger Waters and David Gilmour’s live set lists, the idea was to focus solely on Pink Floyd’s embryonic years of 1967 to 1972. With Nick Mason on board, they completed Nick Mason’s Saucerful Of Secrets with Spandau Ballet’s Gary Kemp on guitars and music producer/composer Dom Beken on keyboards. The four gigs in May will be Nick Mason’s first live musical outing since Pink Floyd’s historic Live 8 concert in London’s Hyde Park in 2005. Nick, of course, is a founder and the only constant member of Pink Floyd performing on all of their albums as well as all of their live shows.